The main focus of the build is to bait people into trades with the left handed Profaned Greatsword. 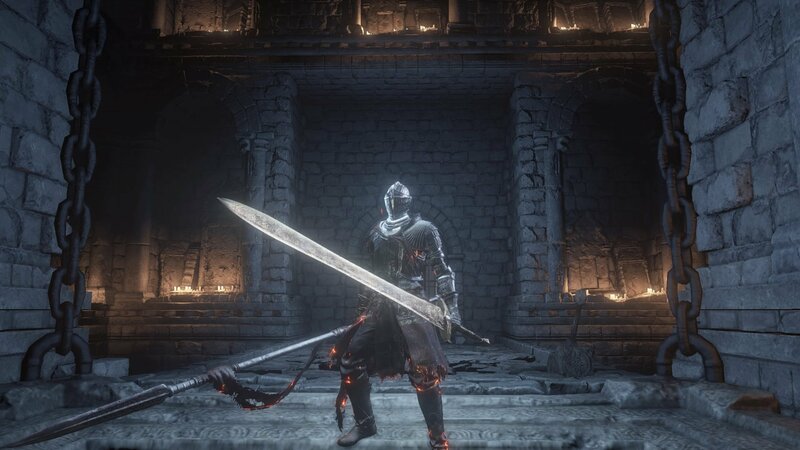 A running attack with the Lothric Knight Long Spear usually does the trick; the majority of players run in to attempt a punish only to take massive damage as you hyper armor through their swing. Also one thing to note is that the spear gives you about 9 poise, and while it may not do anything now, it could be useful to keep in mind for upcoming patches. If Elitti's poise discoveries were true, with the basic Wolf Ring you can hit over 35 poise which was his highest recorded breakpoint. I made a short video of this build and how to use it, search Dark Souls 3: Profaned Lothric Spearman Build.